PublishAmerica (America Star Books since 2014) is a print-on-demand publisher founded in 1999 by Lawrence Alvin Clopper III and Willem Meiners. 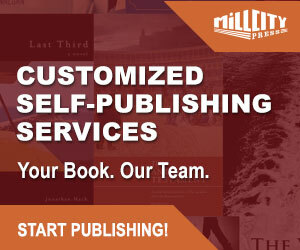 The company is based in Maryland, United States, and to date, they have published books for more than 40,000 authors (33,279 titles listed on Amazon.com), printing (according to PA) and publishing more books per year than Random House or HarperCollins. The company describe itself as ‘a traditional, advance and royalty-paying book publisher’. PublishAmerica stress many times on their website (Author Information and FAQ) that they are not a vanity press. This ad nausea practice by a publisher is the first sign to me as an author and researcher to immediately start to look a lot closer and read between the lines if necessary. Most publishers present their company ‘as a given’ that they are an above-board operation and run a traditional model of publishing. If there is any fundamental aspect missing from this model, the publisher will be at pains to point out they are a small press and do not offer advances against the royalties they pay, or they are a non-profit publisher, but that the essence of their publishing philosophy is to produce, market and promote authors and books through the normal recognised channels of the book industry. I have no idea where PublishAmerica generated this math, or who are the nameless people working for the company behind many of the figures quoted amply throughout their site. When I go to a publisher’s site (a traditional publisher), I want to see an ‘About Us’ page listing CEO, editors, marketing personnel etc. 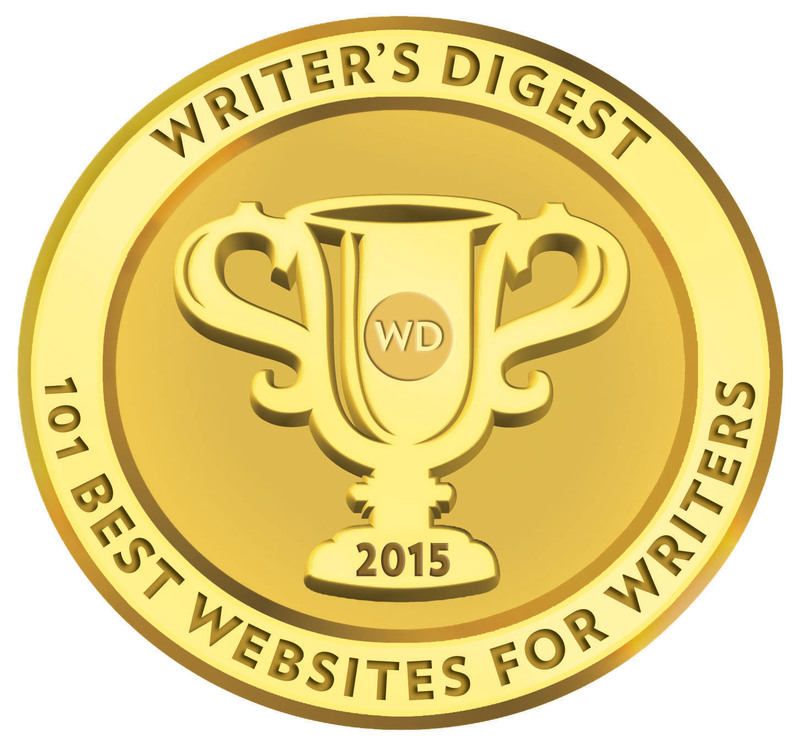 On the whole, at first glance, the PublishAmerica site presents what I would expect to see on a publisher’s site, plenty of information, a list of their leading books, new author acquisitions, news of recent author successes with film deals with their ‘Up In Lights’ section and a good few books with buy links. I took a trip to their FAQ pages and again found the same continued mention (read obsession) with those vanity guys and an emphasis on how much they should stress PublishAmerica is a traditional publisher. “The author pays no fees to have their book published. There’s no pay-to-publish at PublishAmerica at any time. We want your book, not your money. PublishAmerica is pressing an agenda here and they are doing it so badly. Have you ever been at a party, started talking to someone, and all the time you share their company, they tell you everything and anything about everyone else in the room, painfully repeating points about some of the guests. But more importantly, they are eager to inflate their own status and equate it with everyone else in the room; to a point you start to eye the pathway to the toilet, or worse, run out the front door. Finally, you manage to escape from the conversation and reflect that in the whole half-hour you spent with the person, you still actually know very little about them, and what you did manage to glean about them, you remain curiously suspicious with lingering doubts. If you know what you are looking for when you go searching for a suitable publisher, you will know you have not seen it with PublishAmerica. Something just isn’t right here. The PublishAmerica universe is a vacuum, and a vacuous one at that. I think it is time to have a look at those claimed facts and figures. 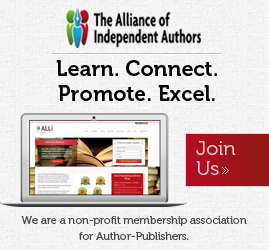 “FACT #1: Unique among all traditional book publishing companies, PublishAmerica counts almost 40,000 happy authors. Each day, an average 15 of them ask us to also accept their next work, 75 second-book requests per week, more than 300 per month, roughly 4,000 per year! By any standard, this is an amazingly high number of return authors, unseen in the rest of the book publishing company industry. In the summer of 2009, PublishAmerica was the only traditional publisher, ever, to introduce tens of thousands of books in softcover and in hardcover to the market! So, profits just over two million dollars, and add to that anything PublishAmerica make from their cut of 50% of additional rights as per their contract (acquisitions sold to another publisher, film/TV rights etc), and when you can take it they are publishing 4800 titles per year, whether by their own steam or by their author’s endeavours—several book rights are being sold each year by PA to studios—you can add another $1m to $2m to that figure. For an overall ballpark figure, $4m profits—sound like a lot? Actually, in publishing terms when you take what PublisherAmerica claim they do for every book and the volume of books pushed out—it’s actually a pittance, pocket money. To give some perspective, a single bestselling Random House title will conservatively gross $20m globally in sales—and that’s just one of their annual bestsellers in the top-ten! Keep that $4m figure in mind, and take a look at what PublishAmerica claim they do for every title they publish. Despite cataloguing, copyrighting, registration with libraries not being included; ask the question; how many staff in-house would be needed to deal with 4800 titles per year. As an example, let us take editing. For an editor, 4800 titles per year is 13 manuscripts per day, and guess what, you are working for Scrooge, no days off, 365 days per year. An editor at a traditional publishing house could work with an author on a manuscript for several weeks – sometimes months. Even a basic proofread on a book could take an editor a couple of days—freelance rates at about $350 – $500. Remember, the publisher may get several thousand manuscripts per year, but they are not publishing all of them, only a tiny fraction, and they have got to take the time to sift through them and find the ones worth pursuing, whether unsolicited or through an agent. I hope you are getting the picture I am painting here. Let me be blunt. This publisher, in spite of the approximate $4m+ I estimate they make per year, is not operating any traditional model of publishing I know—they simply couldn’t afford to run a traditional model of publishing even if they wanted to based on their own output and claims of what they do! Their model of business, maths, combined with what they claim to be and promise, is entirely unsustainable and financially impossible for any company earning what they do. As an example, a cursory basic proof edit on an average book would cost about $350, bottom line, at the current rates—that is 4800 X $350 = $1.68m. I will call it as I see it, entirely independently—this publisher has to be pushing out the vast majority of their books—beyond a basic MS Word spell checker—entirely unedited and without any kind of marketing. Either that or the editorial and marketing staff at PublishAmerica are all working for free! A deep read through their website reveals, at best, a company with a ridiculously inflated view of what they can do for the many thousands of authors who publish with them every year, and at worst, PublishAmerica prosecute a deliberately skewed and misleading model of ‘traditional publishing’ I can only equate with McDonalds announcing they are going into landscape gardening tomorrow. This is a hit and miss—what success is achieved comes by default of numbers—attempt to claim you are a large traditional publisher by exploiting the obvious and inevitable efforts of the more gifted and commercial astute authors who somehow got themselves into this unfortunate mess. They are the real foot-soldiers and force behind PublishAmerica, out on the road, signing books and beating on the closed doors of executive offices, weighed down by some of the most expensively sold books in the book retail industry. They are also the same authors worn down, week after week, by requests from PublishAmerica with discount deals to buy more of their books in the hope that they can help PublishAmerica land the book on the desk of a Random House editor, or better still, Oscar Award winner, Sandra Bullock! PublishAmerica, like traditional publishers, offer an exclusive contract, but the author should be aware that the terms of this contract stipulate that the period of publication is for seven years and will only falter if PublishAmerica do not publish an author’s book within 365 days. An Author must also apply to be released from the seven year contract at some stage during the final three months of the period or another seven year sentence will be imposed. The author also concedes 50% on all additional rights, although, PublishAmerica is not obliged to actively or aggressively sell those rights unless directly instructed by the author. However, the author is not allowed enter negotiations with a third party for additional rights without the permission of the publisher. Stipulations like these in a contract spell nothing but a mix of confusion and abject apathy. PublishAmerica offer 8% royalties on sales, based on the first 2000 books sold—importantly –this royalty is in light of PublishAmerica earning 92% and conceding a minimum and regulatory $1 advance, at best, very basic editing, assistance to the author on a direct sales marketing plan and design and set-up of the book with their printer. The author also receives two copies of their published book. Authors can purchase their own books at 20% off retail price if they order less than 20 copies, or 30% if more than 30 copies. PublishAmerica is not a traditional publisher, whatever their spurious claims, and outside of not charging the author money upfront bear no relationship to a traditional publisher. They have not got the infrastructure, transparency, business model or revenue to operate as a traditional publisher at their level of book output. They also say on their site that they are they first traditional publisher not to outsource printing, but this is plainly not true, as can be seen from the earlier Baker & Taylor press release and court documents here and here relating to a dispute they have had with POD printer Lightning Source. They are certainly not an author solutions service of any kind because they again lack transparency and are not even equipped with the paid-services better author solutions services offer, like a competitively priced book; a prescribed and effective template of marketing aid for an author; a properly developed network of both physical and online distribution and availability; a contract based on non-exclusive terms; a strategy that has properly considered the advent of e-books; and most importantly of all, a reputation that is remotely salvageable in the book publishing and retail industries. Strip away all the self-proclaimed ‘traditional’ pretentions and all you are left with is a company who host grossly expensive books online for sale, and provide print-on-demand orders, it would seem, primarily to sell to their own authors. You might say it is like PublishAmerica printing free money to perpetuate their existence. I have no comprehensible reason why someone would place their book with PublishAmerica, baring an utter desperation to see their book in print and sell a handful of expensive copies to family and friends, and perhaps for a week of two, be toast and talk of the town at the local school hall and grocery store. While PublishAmerica is not a traditional publisher; they neither fit the strictest terms of vanity press or author solutions service. You do not become a traditional publisher by default because you do not charge an author an upfront fee. Therein is the self-created sword PublishAmerica falls upon. They believe traditional publishing is defined solely by whether the author pays for their book to be published or not, and that is fueled by the ignorance and naivety of authors combined with the greed and ignorance of a publisher. Plainly and simply; PublishAmerica are just a bad publisher. Has PublishAmerica Lost the Plot? Closed and has now become ABS Promotions. I especially like the explanation that you do not become a ‘traditional’ publisher by default just because they don’t charge their authors any upfront fees. They get their money AFTER a contract is signed, not before. I am at present in litigation with them: font incompatibilities caused Hanyu Pinyin text in my book to be garbled; when this was pointed out to PublishAmerica replacement text was requested, plus I was allowed to make additional changes. However, some of the changes were either not applied or incorrectly applied. A disclaimer section removed by PublishAmerica was not reinserted, some punctuation (as a result of the font incompatibilities) is still missing, and instead of header pages for “Part One”, “Part Two”, and “Part Three”, the book has “Part One”, “Part Two” and another “Part Two”. The experience with my first book, “Where Vultures Roost” which PublishAmerica published in 2004, was a good one. Not so with “Dragon in the Sky”. This publisher has gone to the dogs. I would advise any prospective author to be wary and, should that author decide to sign a contract with PublishAmerica, to state that the work be professionally edited, and that all proofs must be reviewed and signed off in the author’s time frame. Wonderful post and a great service to many of the new and hopeful authors that may be blind to how the publishing industry really works. Commercial publishers put an accepted manuscript (and they don’t accept many per year because of their quality control, the book MUST be good, MUST sell) and author through their paces. It can take a year or more of careful editiing and rewrites to insure the best possible book. PA, on the other hand, will print (and I mean PRINT) anything in a month or less, slapping some copyright free clip art from sites such as Jupiter on the cover, and call it a day. They know it really doesn’t much matter, their sales are to the authors of the books, they know the author will buy their own book no matter how poorly it’s executed. It’s just very, VERY sad that they have a trail of thousands of victims in their wake, yet get away with it because these authors are not deemed customers in the eyes of the law. Really, they are, as they are the only ones purchasing the product.